This time, I used hot pot pork - even more thinly sliced than BBQ pork, as thin as hot pot beef. 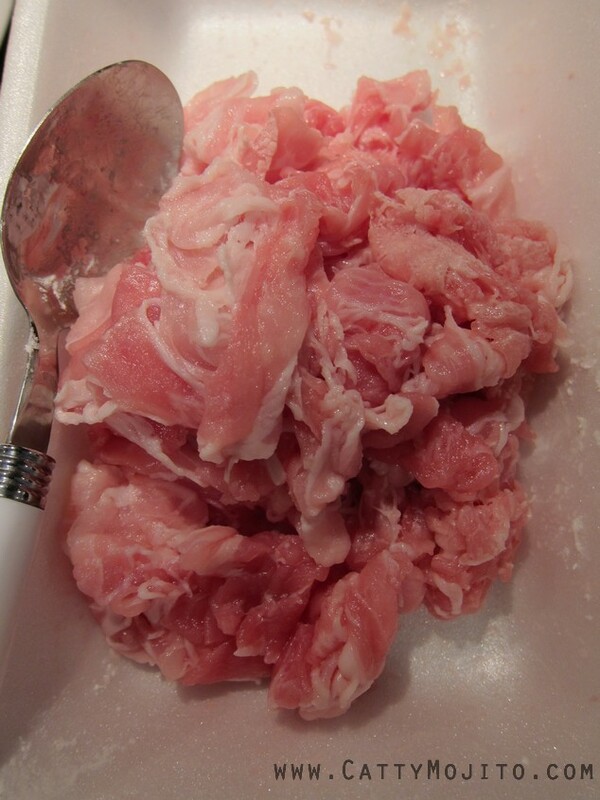 Add about 2 tablespoons worth of corn flour to about 300g hot pot pork, and mix. I used 'very lazy' garlic - coz I'm very lazy! 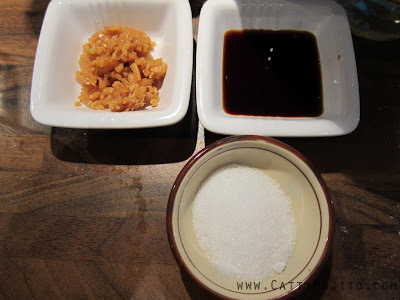 White pepper (middle) and Mirin (right). 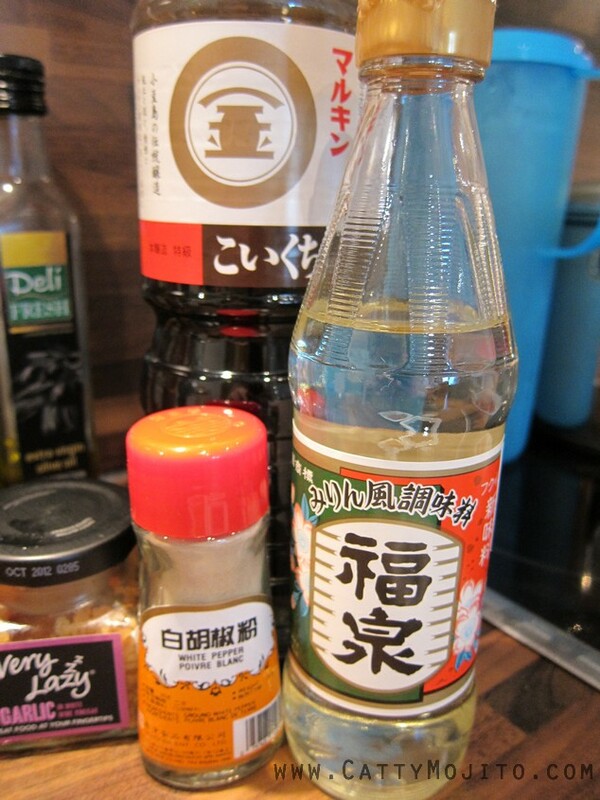 Mirin is available in Japanese supermarkets. I didn't take any photo during the cooking process - was in a hurry! I also forgot to take photos of another important ingredient: you need 2 medium onions. The cooking itself is really, really simple! 1) Cook onions in 100ml boiling water until soft. 2) Add pork, and all the condiments. 3) Stir until pork is no longer pink. Add some more water if you think there isn't enough sauce, and put on a lid. Cook for 5 minutes. 4) Make sure the pork is well done. 5) Serve on a bed of Japanese short-grain rice / Thai jasmine rice. 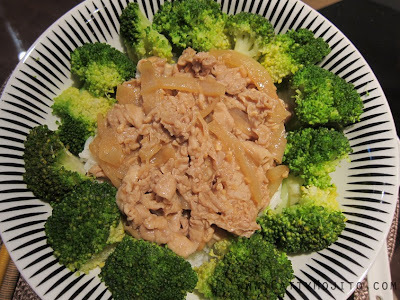 'Garnish' with broccoli (cooked in salted boiling water for 8 minutes).